Surprise scored just twice in dropping its second straight to Peoria. Leadoff man Tommy Edman drove in one and scored the other. Results from the game played Wednesday, October 17th. The Saguaros dropped their second straight decision to the Rafters, this one a 7-2 defeat that dropped Surprise (4-3) into second place in the West Division, a game behind Peoria (5-2). Texas’ Tai Tiedemann (L, 0-1) did not finish the first, surrendering a three-run bomb while recording two outs. 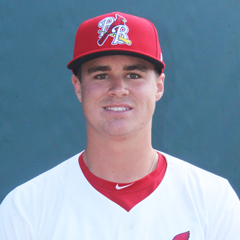 The righty gave way to the Cardinals’ Connor Jones after yielding his third hit to go with two walks. Jones got out of the first via a swinging K, one of his four strikeouts over 2 1/3. The Connecticut native was tagged for a score the next inning on a one-out single, stolen base, ground out and infield single. 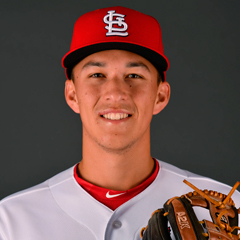 Jones allowed three hits in all and was the only St. Louis farmhand to take the mound on Wednesday. The home team’s offense was limited to just five hits with two Cardinals representatives garnering one hit each. Tommy Edman accounted for both of Surprise’s tallies, going 1-for-4 with a walk, run scored and RBI. The shortstop and leadoff hitter also swiped his third bag of the Fall campaign. Second baseman Andy Young reached base three times out of the eight hole and had the squad’s only extra-base hit. Young doubled once in two at bats with two walks and took part in a double play. Centerfielder Lane Thomas was hitless in four at bats with two strikeouts while batting sixth.